Just one more day to go, and then it would be shopping time. I am planning on buying a new handbag this weekend as my current one has completed it’s life cycle or so it seems!!! Any suggestions on which color to go for?? Will surely be sharing the pics of the purchase with you girls. The product under review today was totally an impulsive buy. These days I am testing out ingrown brands more to find some hidden jewels and also for a price comparison with the luxury brands. As most of you know by now that I have become an online shopping fanatic, which has given me exposure to so many of our Indian brands and has prevented me so many times from going out on hot and humid days to nearby cosmetic stores to check things out. Moreover, these brands are never presnt in their full range over there and that gives me one more reason to shop online. 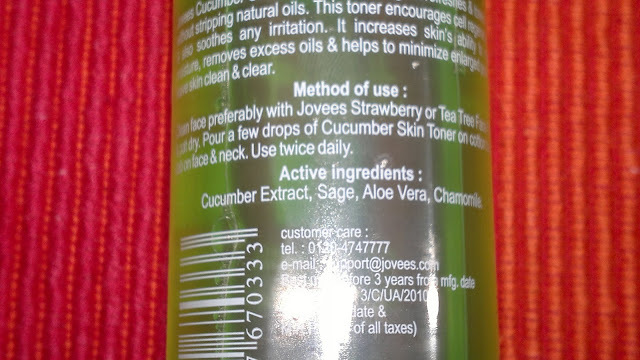 So, while surfing on one of these online beauty shopping websites, I came across Jovees Cucmber toner. Since, I had been using Rose water since a long time, I thought of trying this one out. Jovees has a Rose water toner as well, but since I was looking for a change this one seemed nice from the description. Price: INR 130 for 100 ml of the product (I got this at a discounted price of INR 110). Packaging is standard see-through bottle, with a nozzle at top for spraying the toner. As you may (or maynot) be able to see from the swatch above, the toner is light green in color, and smells faintly but distinctively of cucumber. The smell is quiet refreshing to my senses as well as to my facial skin. I use this twice everyday as a part of my morning and evening CTM routine. I must say that this one may make it to my favorites list as I am super impressed with its qualities. Firstly, I have noticed that this toner absorbs fairly quickly into my skin and makes it soft and mositurized. 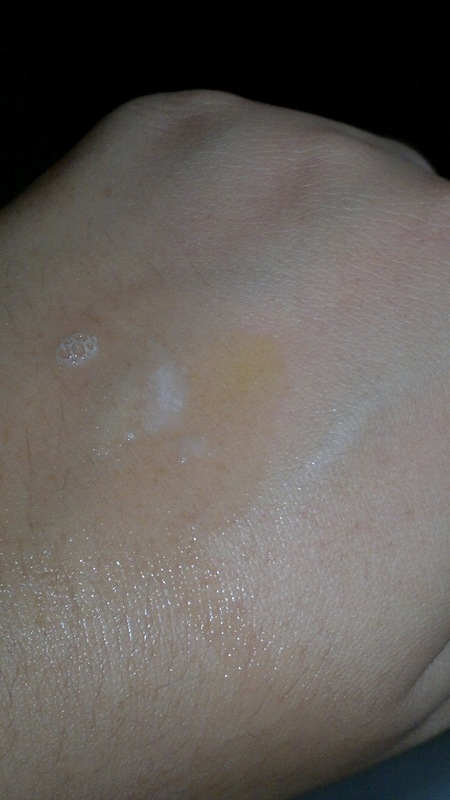 Secondly, my moisturizer glides on super easily on my taut and toned skin and is again absorbed fairly quickly. The toner doesn’t leave any oily residue on my skin. It has not broken me out, in fact the reverse has happened. The small breakout I had on my chin are also disappearing slowly but steadily. Overall a nice and inexpensive toner and I think I have found one of the hidden gems from our Ingrown brands. Product rating: A+, available at your local chemist and beauty stores, also available at online beauty shops. Would definitely recommend this to all you girls looking for a good, refreshing, and reasonably priced toner. I would love to try out the rose water one next and am also eyeing a few more products from this brand. 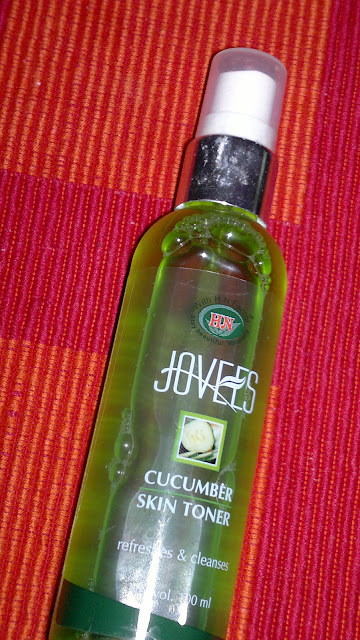 Hi today I bought jovees cucumber skin toner for me n going to apply on my oily n sensitive skin after reading ur blog let's hope for good results.